While I love technology another one of my passions is mathematics. I am currently working on a graduate degree in this field. 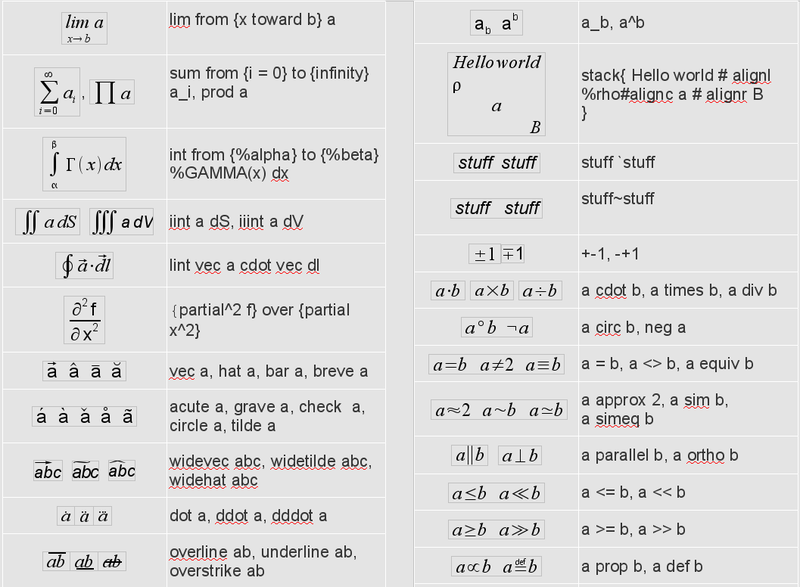 I like to type a good deal of my course work so it looks presentable. 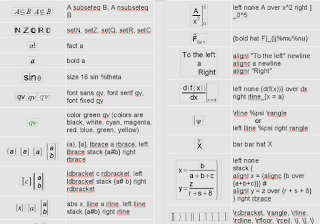 I know the industry standard for typing mathematics is using a software such a LaTex or Lyx, but I haven't quite made the leap from using LibreOffice as my every day word processor as of yet. 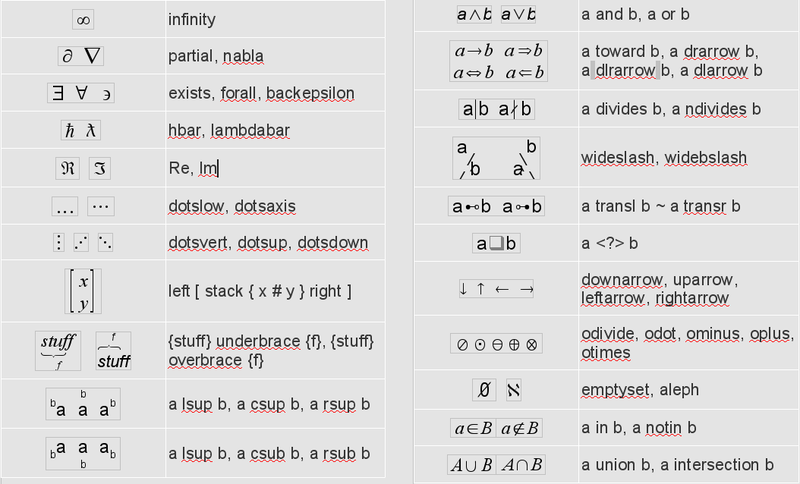 Thankfully, LibreOffice comes with a fairly power equation editor - if you know how to use it! 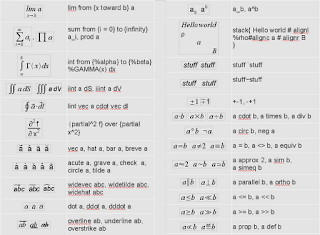 The following is my personal cheat sheet for using the editor - enjoy! If you'd like to download a copy of this you can easily copy and paste I've got an ODT version here and a PDF version here. 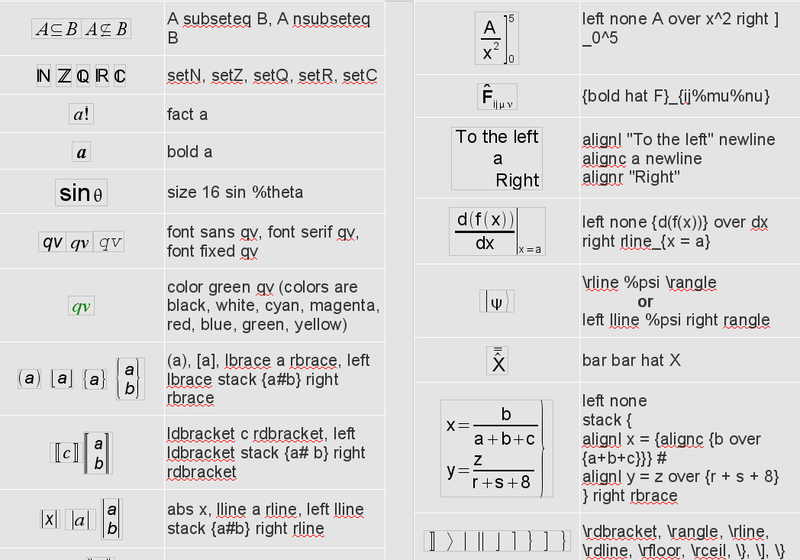 I personally forced myself to learn LaTeX over this past January, and I can't see myself ever using anything else for mathematics again. 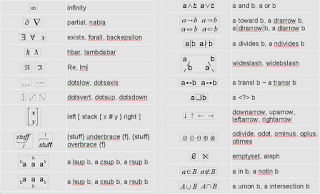 But before that, I felt like LaTeX was too intimidating, so if I ever needed some formulas in a document, I would use OpenOffice.org's equation editor. This would have helped immensely, and I'm sure tons of other people would benefit from it too. Thanks for the awesome work! the most thing I miss till now, is a labelled arrow. So I have an arrow and the length of the arrow depends on the label. Also when you have a vector like abcd and wants to draw the arrow over abcd the arrow looks kind of ugly. 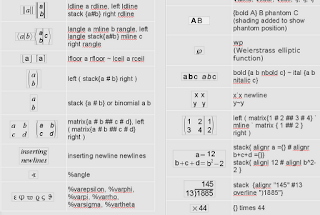 Where could I find a complete list of the commands used to type formulas on Libreoffice? 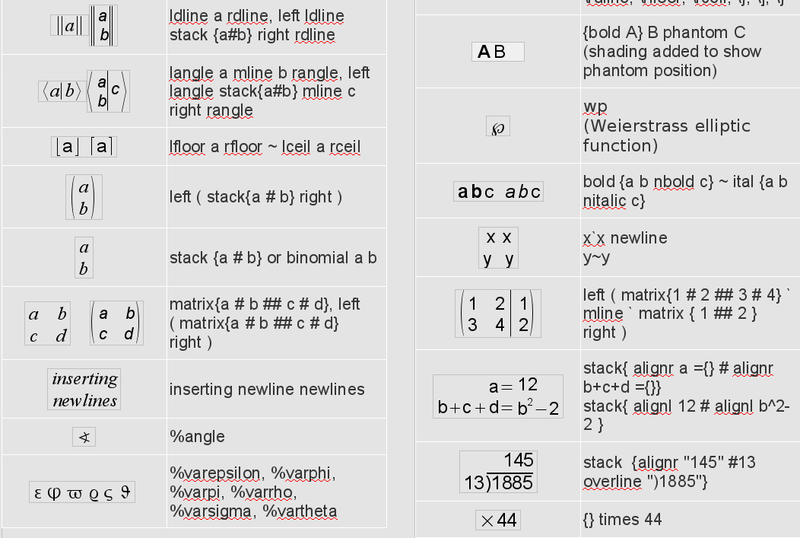 The list you have posted is very useful, now I only need the more basic stuff. I am making a paper of Marketing Management and I am in the need of typing some economics formulas. I'm not aware of any other lists - I compiled everything I could find here. The command reference beings on page 36. I've updated the links to use my dropbox account. Thanks for the heads up.